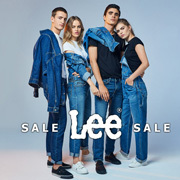 Levi's ®, including the classic model 501 Jeans and many others such as 504 Straight, 506 Regular, Regular Tapered 508, 511 slim, 513 Slim Bootcut 527, 514 Standard Fit. In our extensive product range included both pants and shirts. Fans of the cult brand should definitely take advantage of this amazing offer. It's dozens of original products, from jeans, the shirts, shorts, blouses to jackets, parks or shoes. We guarantee competitive prices and numerous promotions, so that shopping will be even more enjoyable. Our offer includes underwear and shoes. Our goal is your satisfaction. Have a nice shopping.